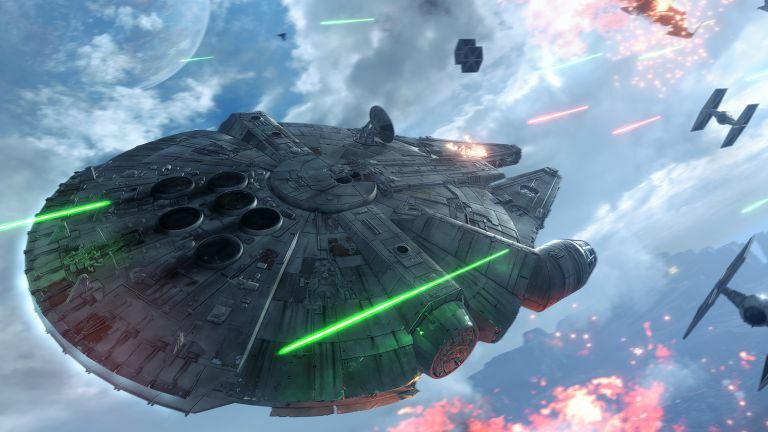 Gamescom 2015 wrapped up over the weekend, with Star Wars Battlefront coming out on top at this year's show. At the Gamescom Awards the much anticipated EA shooter picked up five wins out of the eighteen different categories, including Best of Gamescom. Super Mario Maker, Forza Motorsport 6 and Metal Gear Solid V: The Phantom Pain were the closest other titles, taking home two awards each. With the exclusive announcement of the Fighter Squadron game mode, allowing you to pilot the Millenium Falcon in Star Wars Battlefront, it's probably no surprise the game managed to pick up the Most Wanted Consumer Award too. It also took home Best Console Game Sony Playstation, Best PC Game and Best Online Multiplayer Game. The next Metal Gear Solid grabbed the Best Console Game Xbox award, despite the fact the Xbox One version now looks to have a relative graphics downgrade compared with the PlayStation 4. The PS4 release will run natively at 1080p while the Xbox One version is limited to 900p to allow it to maintain the necessary 60fps. The best sports game also had an interesting result in that it was PES 2016 that came out on top over the new FIFA 16 release. Could this be the year that the old master overtakes its EA apprentice again to take the crown as the best football game around? It's also worth mentioning that two of the most beautiful-looking games we saw at Gamescom picked up the Best Strategy and Best Indie Game awards in Unravel and Cuphead respectively.